Dr. Anandh Rajamohan graduated from the Case Western Reserve University School of Medicine and did his internship at the Summa Health System. He completed his residency program at the University of Michigan Hospitals and Health Centers and then did his fellowship at the University of Southern California. Dr. Rajamohan is specialized in Radiology and board certified in Diagnostic Radiology and Neuroradiology. 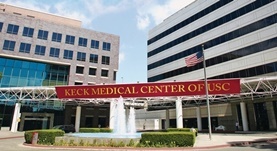 He has been in practice for more than 11 years and is affiliated with the Keck Hospital of USC. During his career, he has also contributed to three clinical research publications. Dr. Anandh Rajamohan has contributed to 2 publications. Image Coregistration: Quantitative Processing Framework for the Assessment of Brain Lesions. Huhdanpaa, H.,Hwang, D. H.,Gasparian, G. G.,Booker, M. T.,Cen, Y.,Lerner, A.,Boyko, O. B.,Go, J. L.,Kim, P. E.,Rajamohan, A.,Law, M.,Shiroishi, M. S.; J Digit Imaging. 2014 Jan 08. Advanced imaging modalities in the detection of cerebral vasospasm. Mills, J. N.,Mehta, V.,Russin, J.,Amar, A. P.,Rajamohan, A.,Mack, W. J.; Neurol Res Int. 2013.